It's a well written book but!!! Madness sits upon the throne. Rebellion rages in the South. Dark magic threatens all life. The kingdom is desperate for heroes. 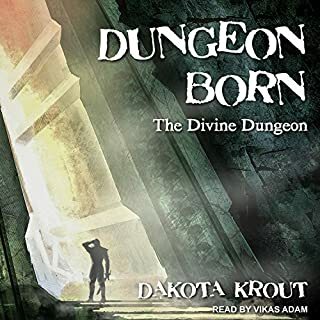 When the young king's soul is stolen by a traitorous cultist desperate to resurrect the Buried Goddess, disgraced knight Torsten Unger makes it his sworn duty to get it back. He has one chance to restore his honor. But he can't do it alone. He'll need a thief. 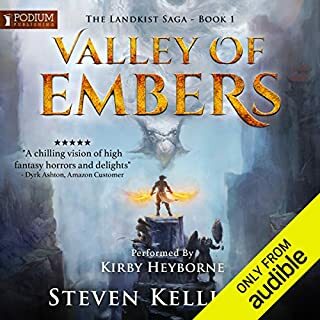 Whitney and Torsten must put aside their differences and work together to battle unholy cults, demons, rebels, and worse to become the heroes their war-torn kingdom never expected...if they don't kill each other first. Get Book 1 of the Buried Goddess Saga today! It's perfect for fans of epic fantasy adventures like King's Dark Tidings, The Riryia Chronicles, and The Hobbit. OMG, this book is amazing. 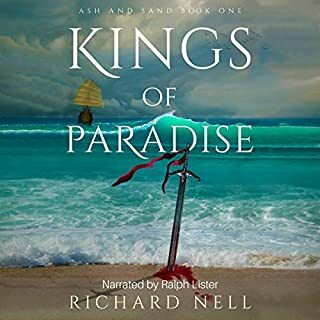 I chose this book because Luke Daniels narrates it, so I knew I would enjoying listening to it but I was beyond surprised on how good this story is. I already added the next two volumes to my wish list (coming out in December 2018 and January 2019). Overall I enjoyed this title and it was paced well. 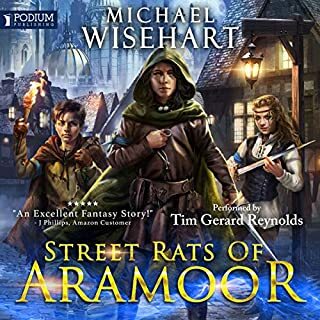 It's an interesting blend of characters, almost like a D&D adventure. The author does a very solid job of concluding this story while still getting you interested in the next one. I found the characters to be a bit over dramatic in terms of their stereotypes/archetypes, but I still enjoyed the story. While I'm not immediately rushing off to spend my next credit on the sequel, I am considering it and I'm curious what will happen next in this world. Great story! Great Voice Acting! Once again Luke Daniels deliver an amazing performance to an amazing book. Loved the characters and the world setting. Although, it took me a minute to accept Whitney’s voice, I’m glad I did. On to book 2! the story took a long time to get started, but once it started it really went full force. whitney was slightly frustrating because his charisma made him similar to a Vash the stampede type character but he was not as loveable as Vash. torsten was a pretty amazing character as the wearer of white and I love noble characters with amazing conviction. the book suffered from a little boredom at the beginning tho until it got all crazy, lol. I do appreciate twists and I hope the characters can manage to find some form of real friendship as I would rather whitney not be completely frustrating the whole time. I loved the ending twist! This story is good, though not one of my favorites. The plot never truly grabbed me, though I enjoyed it enough. The performance of Luke Daniels was fabulous though. He really explored his vocal range and accents, and to wonderful effect! Luke Daniels performance makes for a great listening experience. The story is also very captivating and brought to life thanks to Luke. I will be continuing the series! Luke Daniels does a fantastic job of bringing the story to life for listeners. If you enjoyed the book then you will thoroughly enjoy listening to the audio book, given great invocation by Luke. Rhett and Jaime have not only outdone themselves with the story but with finding a voice for the tale as well! loves the story. started out a bit slow, but I'm glad I gave it a chance and kept listening. 4 very enthusiastic stars for both this story and the talents of Luke Daniels. In this book we follow the unhappy partnership of a thief and knight who are on a quest to save a kingdom in turmoil. 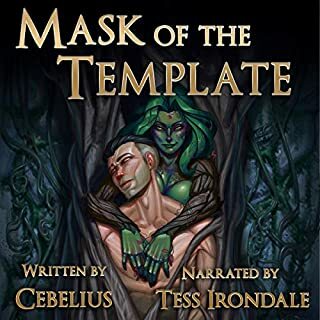 Thrown together after a series of mishaps, the two must battle evil magic, foreign wanna-be conquerors, and royals who don't seem to want to be saved from themselves. 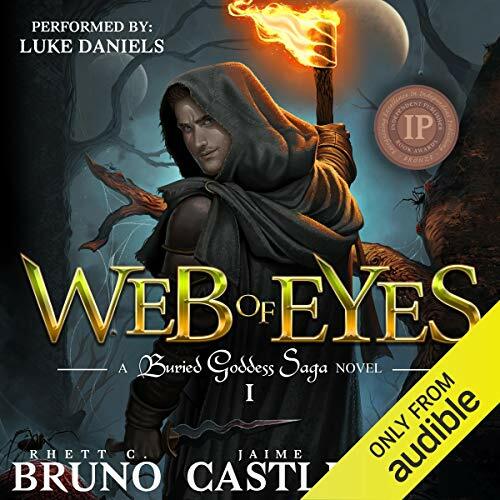 Filled with adventure, magic, and a healthy dose of humour, Web of Eyes is a very strong start to this series. I have to admit that for the first 25% of this book I was a bit worried about my friendship with the person who raved to me about this book. 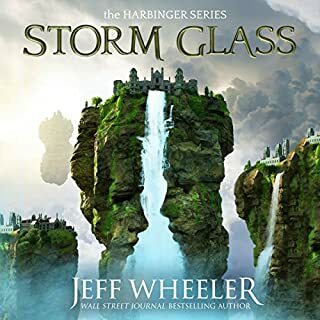 I struggled a to get immersed in the story and was starting to think that this story was going to be placed in a position of prominence on my "Where are the strong female characters?" shelf. Thankfully, just before I got too frustrated with the male-dominated story, a great female character showed up, and she was definitely strong. I hope she has an even bigger role in the stories to come. I can't give this a full 5 stars because I did have a few tiny qualms (beyond the above-mentioned lack of females). There were times that the voices were just a bit too silly/overdone for me, and there was one really rough section that needed an editor's hand. 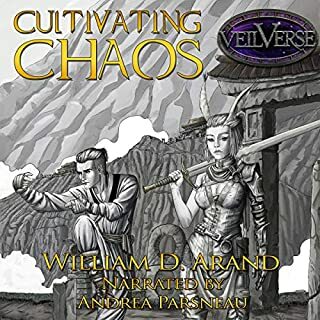 That said, the strengths of the rest of this story more than redeems those tiny issues, and I wholeheartedly recommend this book, especially to anyone who enjoys the Off to Be the Wizard or NPCs series. 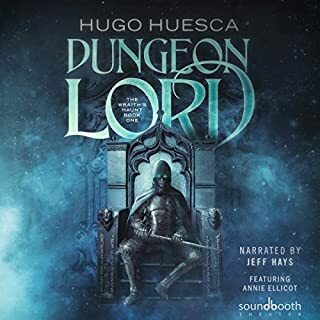 A very big thanks to Aethon Books for providing me with a review copy of this audiobook. 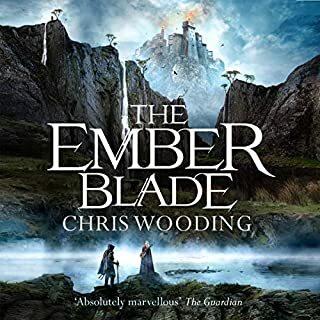 I enjoyed this story, it's a decent fantasy yarn even it doesn't stretch the genre in any sense. 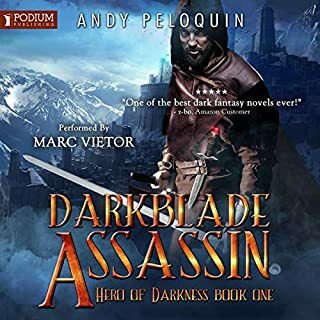 A cheeky thief, a sulky female mage and for us old gamers a Palladin in a fast-moving adventure with plenty of action. The story is well constructed and this first volume builds the world and its background very well. I do hesitate to recommend it though because of the narration. Some people will love it but Luke Daniels really does go to town on the character accents and while for example he gets the tone just right with Torsten, our paladin. some of the other minor characters are almost unintelligible. Our young thief Whitney actually sounds like a seventy year old leprechaun and I'm really not sure what some of the other characters are meant to resemble though when excited some of them start sounding Irish too! It's a very enthusiastic performance but the character voices are maybe just a bit OTT a lot of the time. 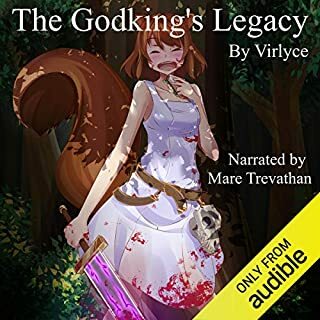 The good news is that the audio sample will show you all you need to know and if you are happy with the narration then this one has a decent story to follow and we get a complete story arc plus the setup for the remainder of the series. A book I could not but fall in love with. I have never heard a narrator become so immersed in a character, I not only pictured Whitney in all his roguish annoying glory. but I also could picture the fun Narrator Luke Daniels had. The story and a full story (sometimes it can be frustrating when a story just ends to open the door for a sequel,, but in Web of Eyes, what Rhett C Bruno and Jamie Castle has successfully done is open the door to books that could travel forward and backward and to the side depending on the character you followed. (I thing Sir Knight may be busy a while. The story was swift and entertaining, never in your face more sit back and watch in your mind as The. Worlds professional Theif. (not so professional priest) gets on with it, of as I recal, Plan, prepare, fail - improvise . Good book a definite time zapper. This tale is either love it or very good as we go on an unusual quest through a new land facing thieves to goddesses to save a kingdom. Although this is very well written a few might find one of our main characters Whitney a bit too much although the talents of Luke Daniels make him quite tongue in cheek and very engaging. This is a great piece of work by LD but attention is needed for some of the more minor characters as the accents cam be a little too thick for easy listening. I will be keeping a keen eye out for the next in the series as i found myself having a wry smile by the end as i bonded with the writing and the story. Overall the story is 4.5 and narration brings this up to a 5 . I requested this audio and have left my thoughts on this for you to peruse. This is a book for all. It starts off slow but the pace picks up further along the story. The narration is amazing and there is a solid plot, sprightly and witty. The characters are entertaining and show great character development, one of the MCs is hilarious. The world is filled with magic and mystery, betrayal and friendship. The author has done a brilliant job setting the scene and as a result I will be continuing on with the series. I can recommend it to anyone who's up for some adventure! I really enjoyed this story, it balanced a detailed world with fast action and fun characters. I really liked the thief character (Whitney) and the way that he was able to annoy everybody around him. 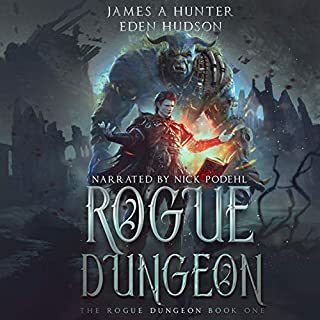 Luke Daniels performs to his usual high standards and continues to be one of my favorite narrators. 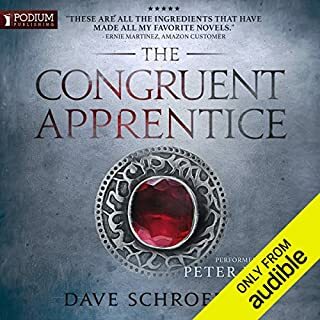 I have not read/listened to much of late but I really enjoyed this and I look forward to continuing with the series. Please note that I was provided with a free copy to provide a non-biased review. Initially this feels like a fairly conventional fantasy novel, you have the main party being built along lines to carry out a vital quest for their monarch that will be familiar to anyone even vaguely familiar to the genre, but a conventional start can also be looked at as a solid foundation and that is what it seems to be with this one with the characters having enough characterisation to avoid simply being their archetypes of rogue, caster etc. 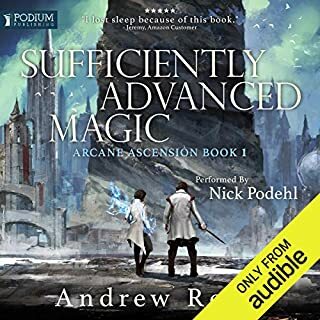 As this is the first book in a series there is obviously a fair amount of world-building going on, to establish things like the mechanics of the magic system, the people, history and geography of the world, but this is done in a fairly organic manner without disrupting the flow of the main story itself. 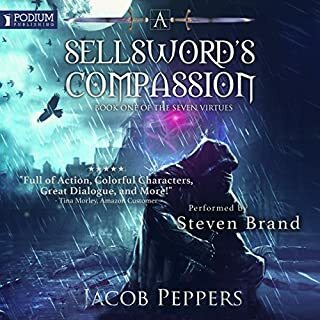 On the whole the narration of this book is extremely good, with the narrator giving drastically different voices for all the main characters to the extent that it is more of a performance. A couple of minor criticisms that I have, the accent he chose for Whitney, the rogue was a bit too over the top and could grate a little at times. Also, since his voices were all so distinctive there was no need for him to have read out what I can only assume were chapter headings put in by the author, they have their purpose in a text edition but not here as they disrupted the immersion created by the range of voices. 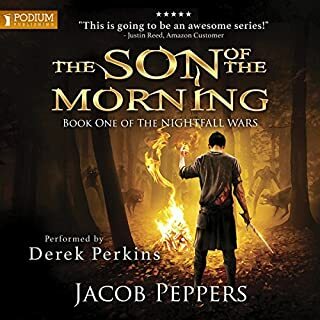 Overall, this is an enjoyable first book in the series that still manages to be a complete story in its own right too, so you do not feel like it has suffered to setup the rest of the series. I’ve long been a fan of Rhett Bruno and Luke Daniels, and newly acquainted with Jaime Castle’s work, who is equally impressive. 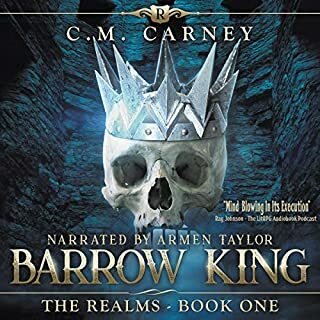 The story itself is a compelling epic fantasy, with the innate complexity to the world, and weight of history as say GOT, but crucially has the readability that series (for me, anyway) lacks. The story itself has rolls between an almost heist style quest, and the shenanigans that brings with the undertones of something darker going on. A word on the characters, and a compelling reason to listen to this on audio. Whitney, is a Sarcastic rogue - somewhat reminiscent of the Bard in, well, a Bard’s Tale. This is wonderfully balanced by Unger - the straight man. A fun dynamic adding levity to what can be a dark story at times. Luke, as ever, is not just a simple narrator - his voice acting is truly excellent! A great read / listen. 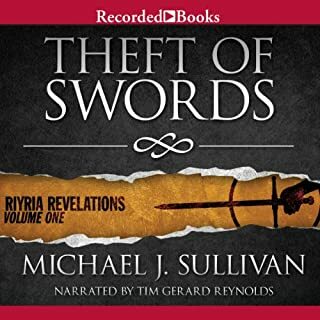 The story seemed good and the narrator read clearly and did some voices well but the 'Oirish' accent used for the thief was just grating to me and I couldn't keep listening. One for me to read and not listen to I think. Enjoyed the story, but the narration of the main character was a little over the top for me.